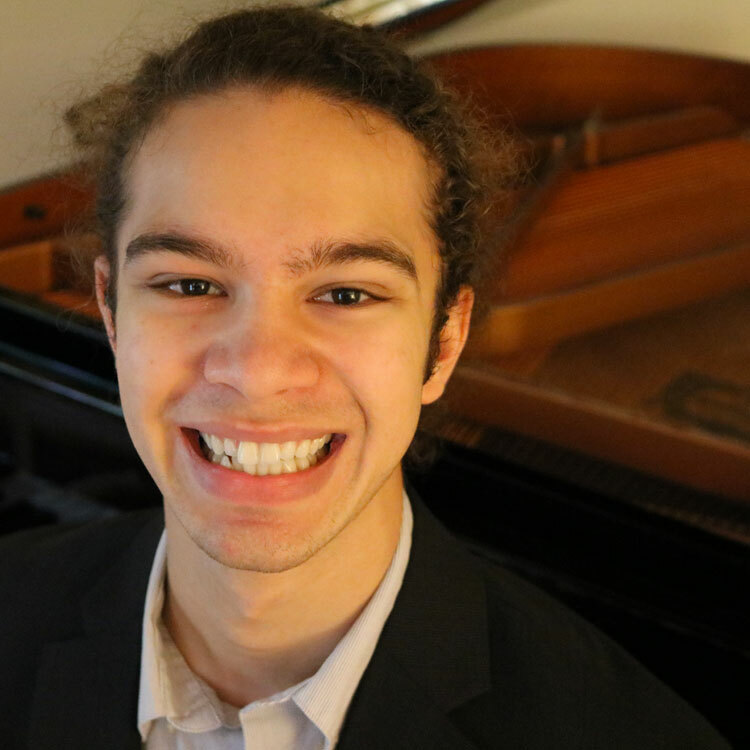 Joseph Vaz is a senior at Indiana University’s Jacobs School of Music, where he is pursuing a Bachelors in piano performance under the direction of Emile Naoumoff. Joseph has performed solo repertoire for many distinguished international pianists and professors in master classes, including Byron Janis, Jerome Lowenthal, Julian Martin, and John Perry, among others. He has been active in the competition scene since 2012, and was a national finalist in the senior division of the Music Teachers National Association National Piano Competition in 2015. He was also a finalist at the international David D. DuBois Piano Competition in 2014, and has earned 1st place at the New Horizons Piano Competition, at DePauw University’s Young Artists Piano Competition, the Graves Piano Competition, and the Edward Auer Return Engagement Piano Competition. Joseph has performed at Weill Recital Hall in Carnegie Hall, the Aronoff Center in Cincinnati, Greaves Hall at Northern Kentucky University, and numerous other venues in the United States, Italy, and Austria. His orchestral debut came with the Cincinnati Pops Orchestra in February 2015, and he has also performed with the Seven Hills Sinfonietta.